Not made of icky stuff, just sticky stuff! Both of us have pretty awful memories, so when Charlotte comes out with absolute corkers, we wish we could remember them better. 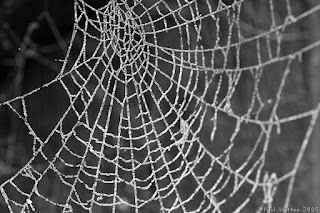 Today's particular pearl of wisdom was a cracker - on the subject of spider webs (after seeing all the wonderful frost-covered webs around where we live), Charlotte had this to say on what spiderwebs are made of. 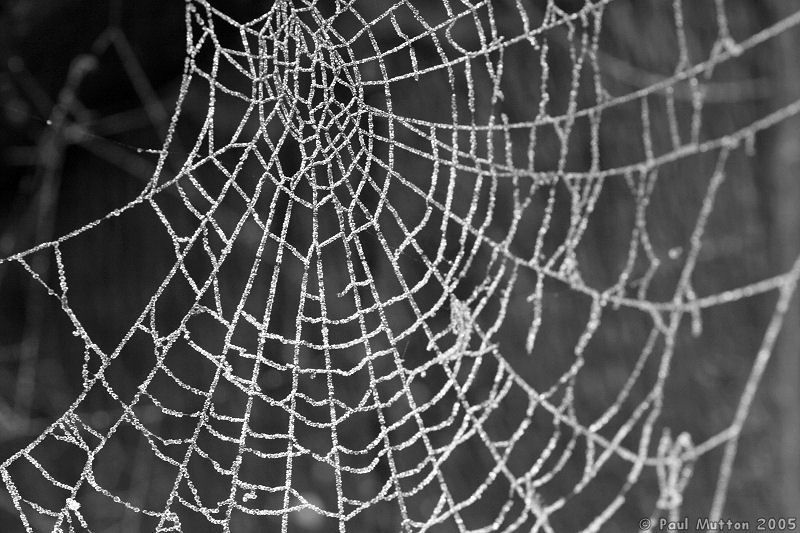 "I think spider webs are made from spider's poo, wee and farts!" We thought we'd make Charlotte's pearls of wisdom a bit of a regular feature so watch out for more.